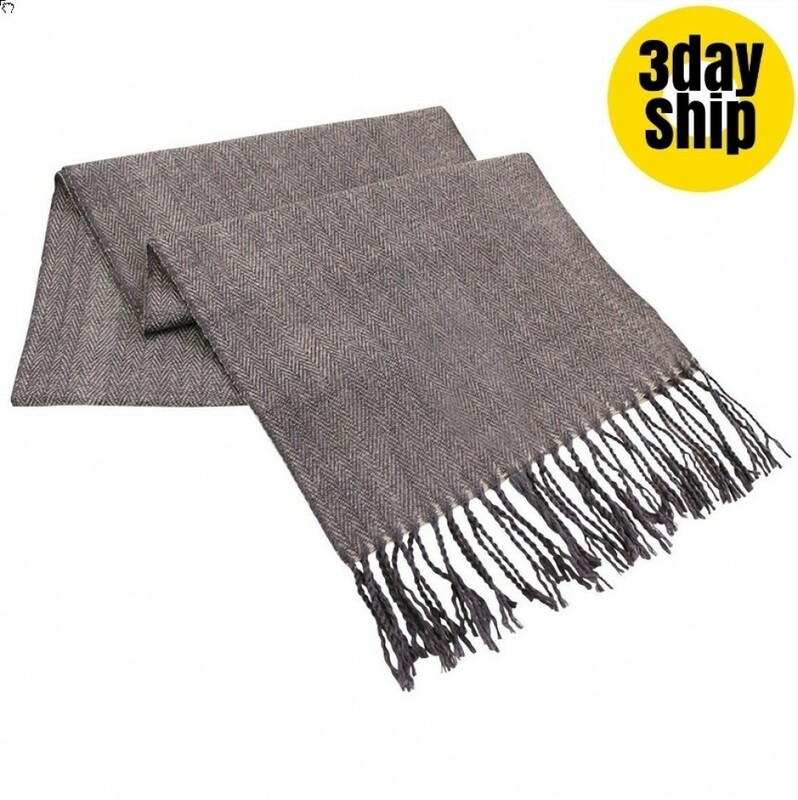 Keep warm in winter when you wrap up in this lovely soft lambswool scarf. The classic colours of dark grey, light grey or navy make ideal winter options for the fashion conscious person. The design features a modern, long wide look with a delicate herringbone pattern woven into the fabric. A rolled fringe on the ends completes the look. Lambswool and acrylic blends can be washed by hand or in the machine using a gentle detergent and a short washing cycle with warm to cool water. Lay the scarf flat to dry on a clean towel and try not to hang as it may stretch out of shape. These precautions will ensure that your scarf remains part of your wardrobe for many seasons. Create a cosy feeling at your next corporate outdoor event when you hand out branded scarves to clients and guests. They come packaged in a classic gift box, making them extra special to offer as premium gifts which are certain to be well received. Talk to us for ideas, we recommend a stylish embroidered technique to expose your logo and graphics. These also make wonderful promotional sales items for the winter months. Crafted in a soft lambswool blend this traditional Herringbone blend is a season must. Woven and finished with a rolled fringe, it is a cosy and classic scarf to have in the wardrobe for years to come. This item comes packaged in our classic scarf gift box making this the ideal gift for friends, family, colleagues or customers. 10% Lambswool / 90% Acrylic"